Since 1872, First National Bank has been helping communities grow and prosper. 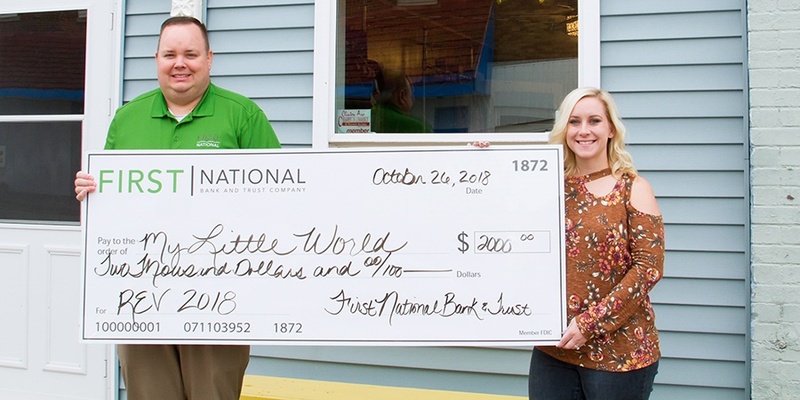 Our sole mission is to create community prosperity in all the communities we serve and at First National Bank that is part of everyone's responsibility. REV is a pitch competition that enables area entrepreneurs and start-up businesses the chance to win up to $10,000 to better their business. 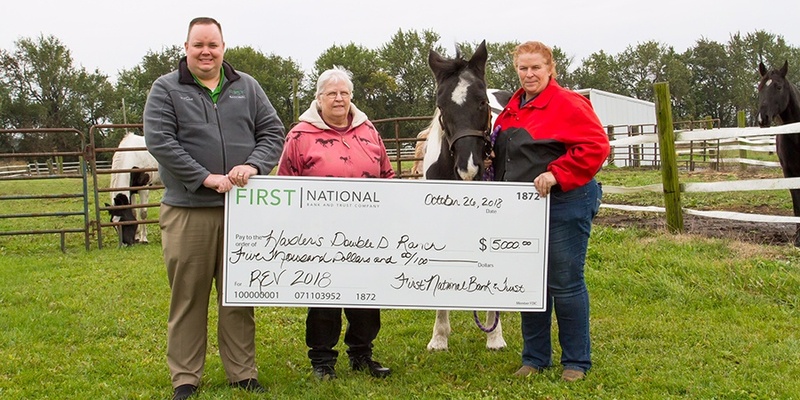 First National Bank has partnered with the DeWitt County Development Council to host REV, where applicants are judged on their pitch, marketing, personal investment level and exit strategy. REV will take place on October 19, 2018 beginning at 1 p.m. at First National Bank & Trust, located at 2 Kelli Court, PO Box 191 Clinton, IL 61727. Individuals who apply and are accepted (five total) will have ten minutes to pitch their business concepts to a panel four of judges. Judges will then have ten minutes to ask questions. Deliberations will be made by the end of the day, and winner will be notified at that time. Applications were due October 1, 2018 for this year's REV. REV 2018 took place on October 19, 2018 at First National Bank & Trust, located at 2 Kelli Court, PO Box 191 Clinton, IL 61727. Individuals applied and five were accepted to pitch their business. They had ten minutes to pitch their business concepts to a panel four of judges, and then the judges had 10 minutes to ask questions. After all pitches were complete, the judges deliberated and decided how they would distribute the $10,000. Meet our three winners below! With their winnings, they will begin excavation and drainage work to allow for a parking area for those attending their horse clinics. The Vault will use this money to purchase tables, chairs, etc. in order to be able to use the center as a rental facility, which will in turn bring in additional revenue, working toward the goal of becoming self-funded. With the $2,000, Casie plans to customize a tent to bring to outdoor vendor events so that she has more space to display her merchandise and her brand is more visible. REV 2017 took place on October 13, 2017 at First National Bank & Trust. Meet the three winners below! 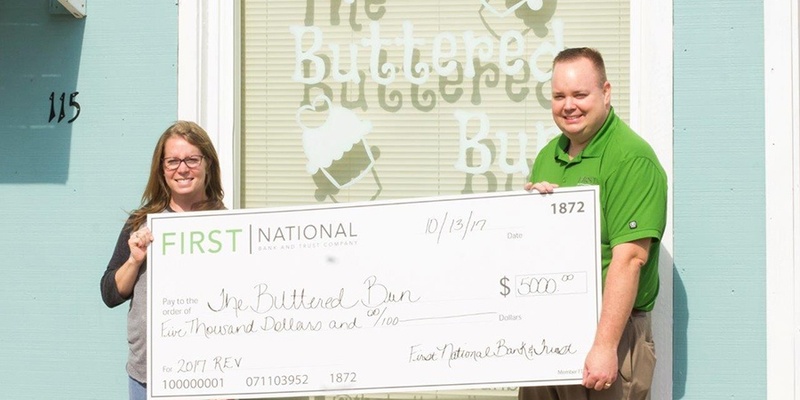 With the $5,000, The Buttered Bun will be purchasing a commercial stove. 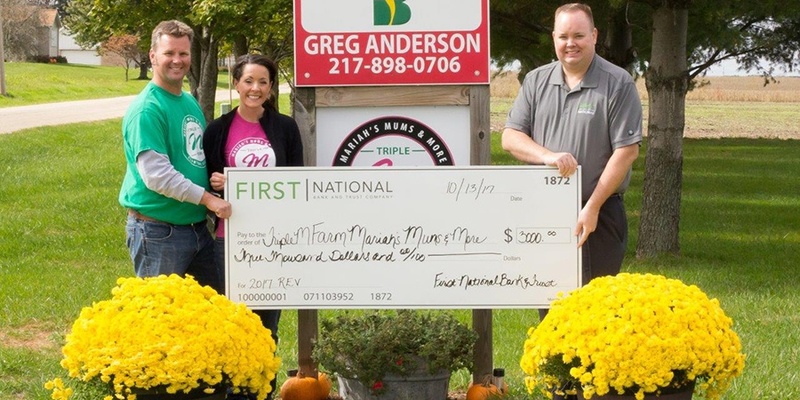 Triple M Farms will put their $3,000 prize toward a down payment for a delivery truck. 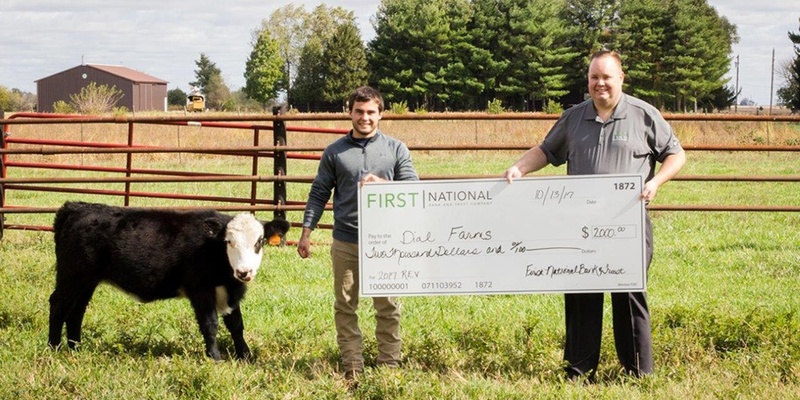 With the $2,000 prize money, Mason Dial, owner, will add additional livestock to his operation. 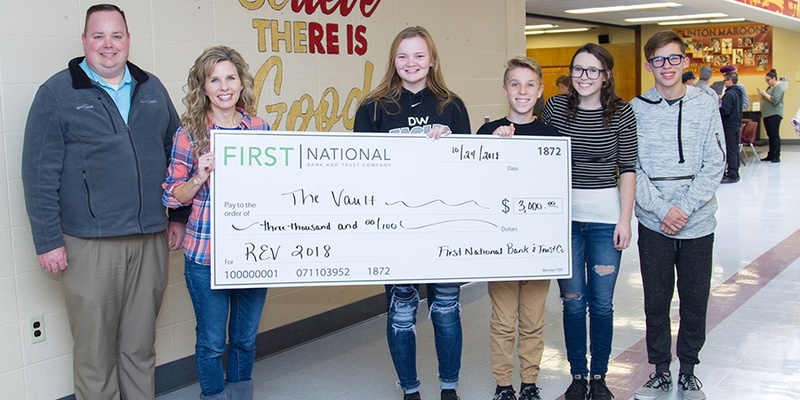 Applications for the 2018 First National Bank REV will open next year. Please check back next year if you are interested in participating. Catch up on everything happening at FNBT.